Deep link is something very usual for web, but not for mobile applications. For example, here is a web deep link to our blog: https://datarockets.com/blog. It means that you don’t need to open our website first to go to the blog page, you can open that page right away. Deep links – are not common UX practice in mobile apps development. In the majority of mobile applications, you can’t use a shortcut to open a particular screen or automatically perform some action, unfortunately. Let’s see how it works on an example. Let’s assume that we have a mobile product – an app that sells tickets to conferences. We have a very simple workflow: users download our app -> sign up -> browse conferences -> select one of the conferences -> purchase e-tickets. If a user doesn’t have our app it redirects them to Google Play or AppStore and asks to install our app. If the user is not logged in it opens the application and asks to sign in or register. The link automatically opens the conference screen and offers to purchase a ticket. Well, that is a good way to sell tickets to a particular conference and obtain new users. They don’t need to go through the other screens and search for the conference. After login the user sees a popup saying that they got an 80% discount and an offer to browse upcoming conferences. Conversion. Originally, our users need to go through a number of steps to purchase a ticket. Everybody knows, that the more steps you have before the conversion, the more users may drop off. The first example of deep links demonstrates how you can remove excess steps and navigate users directly to what they want. UX. As a new user, I don’t know how to use the app. But I want to go to the conference. I don’t need to investigate the app and find out how it works. I can get directly to the conference screen and buy a ticket. Marketing and analytics. 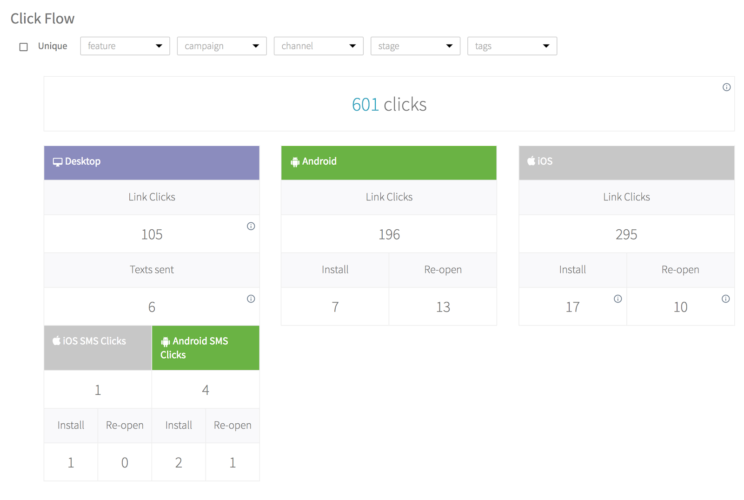 Deep linking services such as Branch.io provides an intensive analytics. 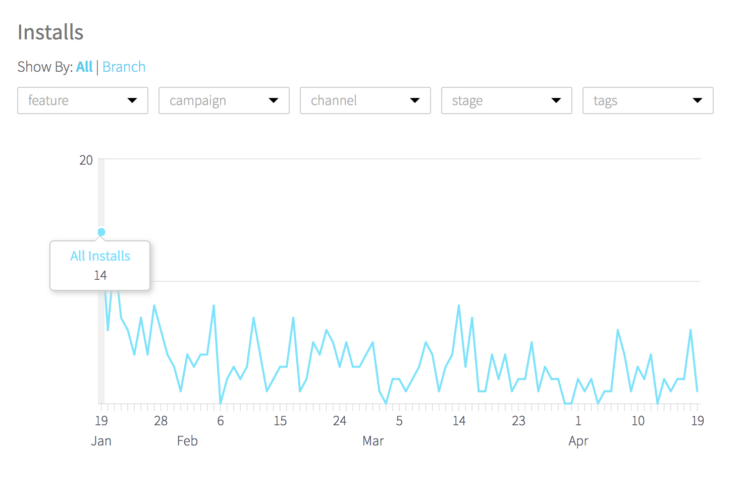 You can see statistics such as clicks, installs, reopens, conversions. You can set up different sales channels and marketing campaigns. For example, you have an affiliate and pay a percent from sales to them. You can create a channel for the affiliate and provide a Branch.io link. You will see all the stats for that affiliate.